Local Marketing Vault Review - Is It A Scam? - What Does It Cost? Welcome to the Local Marketing Vault Review! This product was launched by James Bonadies and Jason McKim in the middle of March of 2017. There was some skepticism along the way, but I will reveal exactly “what is the Local Marketing Vault“, if it’s a scam and how can or maybe can’t it help you make money. Make More Money when landing a client? Add $10,000/Month to your business in 30-90 days? Never worry how to actually get results for existing clients? See in the era of the online world, so many people have gotten into Local Business Lead Generation. and as cool as that is, and as amazing it has been to me, a lot of people struggled to make enough money to actually change their life. The issues were always the same. When pitching to a Local Client, they want to know when will they see a return on an investment. For so many years, most people pitched SEO (search engine optimization) which worked well for a while. It takes a long time to Rank Local Business. It takes a long time to actually get them results. Even if the site ranks, will the leads live up to the hype? There are so many variables when pitching SEO to a Local Businesses, which has proven over the years to force people to quit this type of business. People leave, and the horrible venture down the rabbit hole continues. According to these guys, the remedy to SEO would be Paid Traffic. This sounds good but how? That is the exact purpose of the Vault. A “done for you” market place of all the things you need to succeed when running paid traffic for Local Businesses. Why would I want to run paid traffic when I can get FREE traffic? 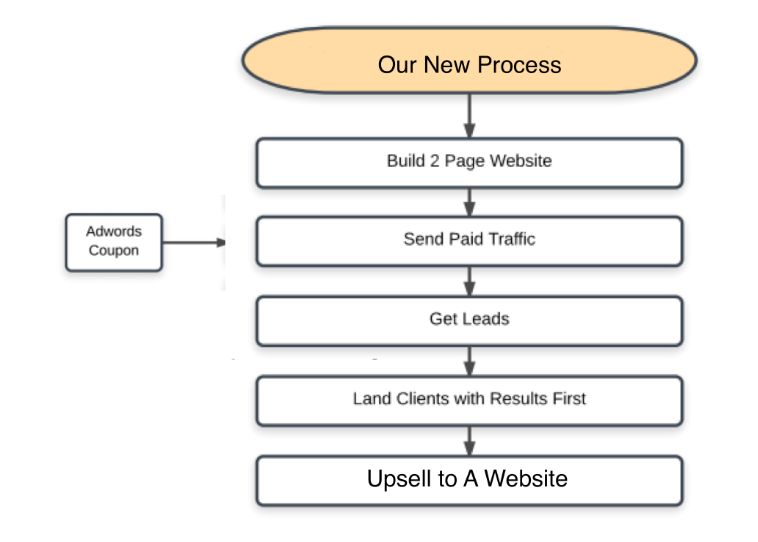 The Free Traffic Flow to get lead flow for local businesses seems exhausting. They say to build a 2 Page Site (funnel), use an adwords coupon (free advertising) to send traffic using Adwords. Since it’s Adwords, leads will come in rather quickly, so you can send your potential client FREE leads to impress them. Usually, when I sent free leads to a client they loved me for it, and the sell was a lot easier. However, there are some issues! takes time and a lot of money. Take it from someone who has spent over $2,000,000 in Google Adwords and $300,000 in Facebook Ads. Local Marketing Vault – The Answers to the Issues. The cool thing is their answer to these issues is the Program. The Actual Vault Contains everything you need to run a successful campaign. Access to the EXACT Landing Pages THAT CONVERT? The EXACT Keywords THAT BRING IN LEADS? The EXACT Ad Copy THAT GETS CLICKED? The Exact Targeting THAT BRINGS IN QUALIFIED LEADS? 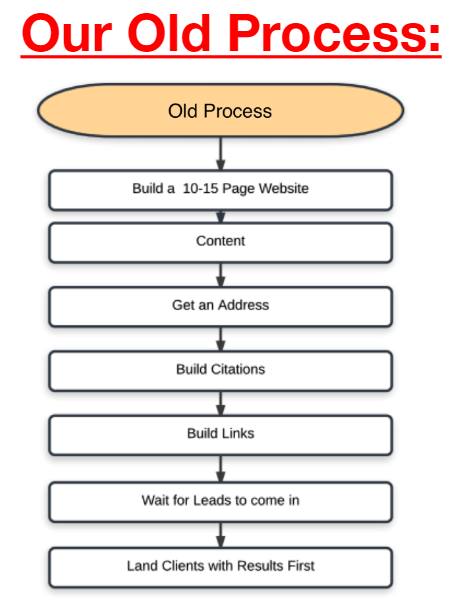 The Exact Step by Step over the shoulder process to launch PPC/FB Campaigns THAT WORK? Check Out This Video of Chris: A monthly contest winner and user of the LMV system. You can watch from the beginning or FF to about 2:12 to see the full review of the local marketing vault start! Looks pretty amazing to me. Matter of Fact they already have dozens of testimonials to back up their claims. Local Marketing Vault – The Verdict! My verdict is, KILLER Product. I have used this process before, and it works better than any other process I have ever been part of. plug, play and profit from already proven campaigns that work. The cool thing is, they keep adding more campaigns that you will have access to as well! Hey Johnny how are you? So yeah I get what you are saying %100! That is honestly what separates LMV “Local Marketing Vault” apart! For example Google Adwords “Now Google Ads” made it so you need to use the new interface. Training in the vault was shown using the older interface…. Jason went back in and redid all the training in the new layout. Also Facebook started with their Lead Ads options awhile back and bamm there is new training and new campaigns showing you how to use lead ads. All this plus tons of other changes, updates, new funnels etc… make this the place to be and yeah I totally get what you mean about the researching/figuring out. That is the beauty of the vault! It has all been built and tested! You just get the client and fill in their info and get it running! Hope this helps! Hit me up if you need more info! This all sounds great. But I cannot find a price anywhere. Some are saying monthly and others saying yearly. I would love a ball park figure. At the moment Solar is huge and I would like to start with that as I have a few people I deal with on a weekly basis. Hey Jason yea Solar is big, sorry for the late replies in all of these comments! There are a lot of options for buying the program, so the best bet is to sign up for a call. There is no direct link to buy, there is a process and that involves a phone call to be sure you the program is the right fit for you! You can go here to sign up http://ibuyireview.com/lmvr and then just scroll down to book a call. How much is this? Please email me. Thanks! Hey sorry for the late replies in all of these comments! There are a lot of options for buying the program, so the best bet is to sign up for a call. There is no direct link to buy, there is a process and that involves a phone call to be sure you the program is the right fit for you! You can go here to sign up http://ibuyireview.com/lmvr and then just scroll down to book a call. I am interested in finding out more details about the program. Thanks for reaching out to me. Hi James, I’ve watched a number of your video reviews and I’m interested in signing up for the Local Marketing Vault program. I realise you normally undertake a phone call prior to sign-up with a discount offer. Is it okay to simply ask the price and sign-up directly online? I’d really appreciate some feedback, so I can get started? what is the price of training? I use Conversion Pros because it has email, autoresponder, webinar, and a built in text and voicemail blast, etc. Will this program be compatible to the marketing tool I use? Hey Stacy yeah I mean you should be able to tie it all in to your system. The vault uses Click Funnels and has the templates all set up so it is very easy for people new to marketing to just hit the ground running, but yes you can use your own system. The vault will just help you funnel traffic to it! How much does the Vault cost? What was the cost to have access to their program, The Vault? I am wanting to try this but want to get an idea of a price. I am limited on a lot of funds but if it’s a reasonable price I am willing to try it out.